This case was designed to hold the Craftsman 40" 8 Drawer Griplatch tool box. 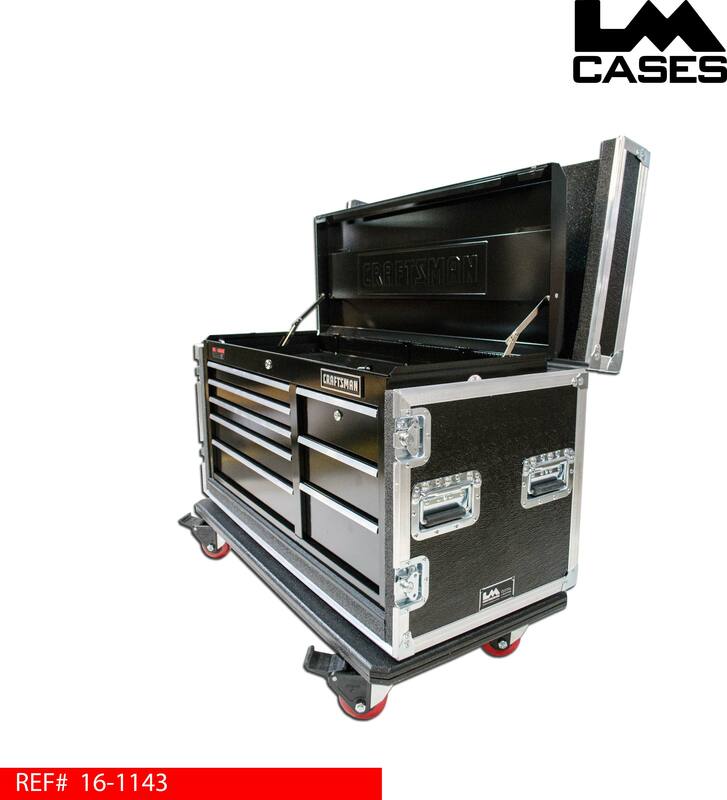 The exterior case is built out of 3/8" plywood and features textured black fiberglass laminate. The case features a hinged top lid and removable front lid as well as 8 deep recessed handles. 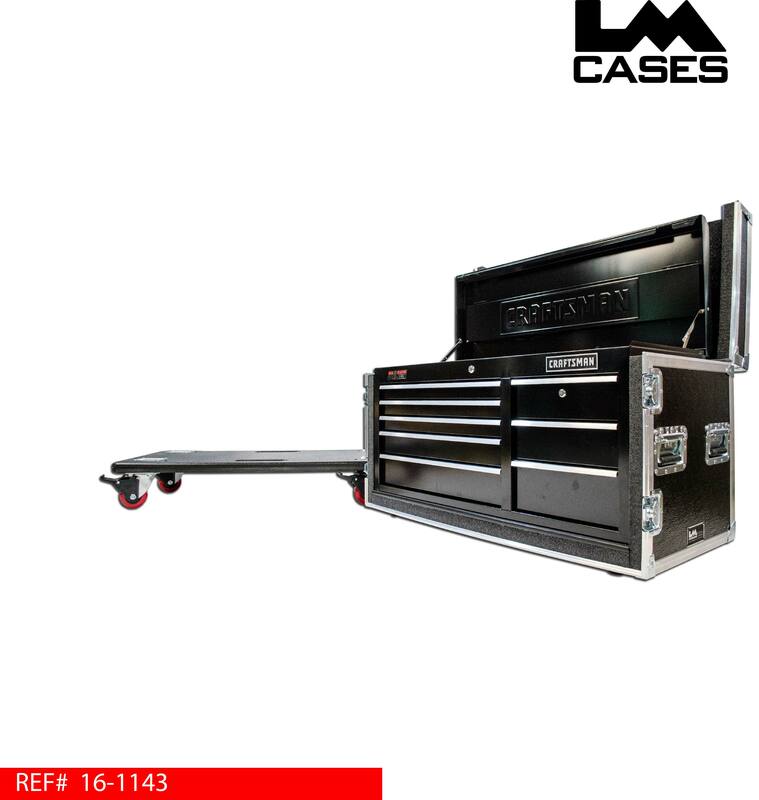 The case sits on a removable caster dolly that is built out of 1.5" thick baltic birch and coated with black texture coating. 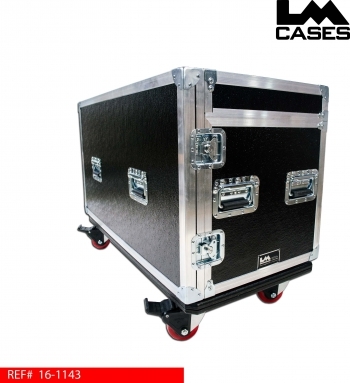 The case locks into the dollyboard using male and female feet and cups, the dolly board includes 4 Colson super HD 4" x 2" locking casters. This case is great for any mobile production including trade shows, audio visual applications and sports teams.